The youth unemployment rate in Spain has unfortunately been one of the highest in the world for quite a few years. In 2016, the unemployment rate of those under 25 in Spain stood at 42.92% with a total of 613,900 unemployed youth. Although in 2016 the occupancy rate increased slightly among 16- to 19-year-olds (17,000), it did not change in the 20- to 24-year-old group. 1- Not only is there zero unemployment in the web programing/development industry, but also according to the Council of Colleges of Computer Engineers of Spain, there will be 100,000 new vacancies for programmers in the next 3 years and most will remain vacant due to the lack of candidates. Similarly, in the European Union there will be 900,000 vacancies in web programming jobs, many of which will also remain vacant because there are not enough web developers, this simple. 2- You can work from home. Many programmers working for large technology companies and small businesses alike, work from home even though they might live in the same city as the corporate office. It is a trend that has become a norm. This means that young people no longer have to depend on whether or not there is a job vacancy in their town or village since they can work from home for any company in the world. It is a paradox that with such unemployment rate, the official initiatives aimed at training young people in the IT sector are so scarce, however. The Youth Guarantee program, led by the European Union with the support of the Ministry of Employment, has free classes geared towards unemployed youth, but most programs are service-oriented and not technology-oriented. For example, the Chamber of Commerce of Valencia does not offer any programming / web development program, and the remote programming course of JAVA being offered is capped at 73. It is in this context that Kolau launches its initiative to help unemplpyed youth #through its program called #YouthCanDoIt2020. 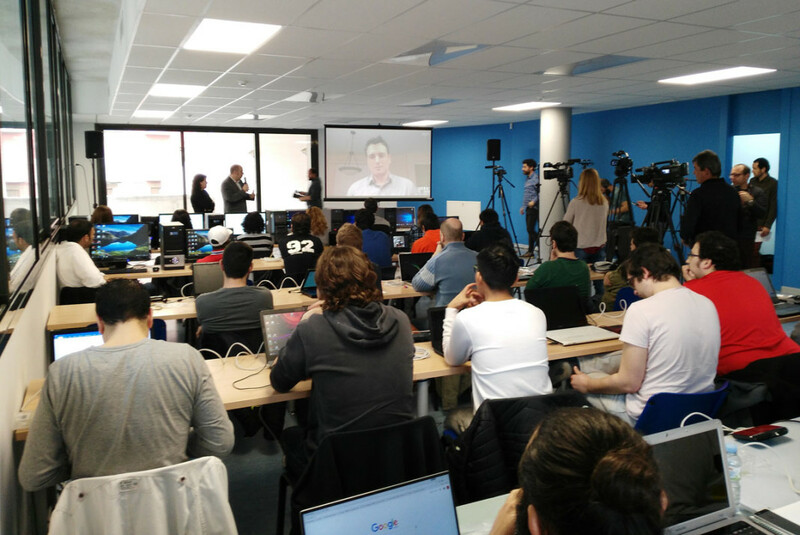 This initiative is aimed at teaching web programming to unemployed youth in two Spanish cities – namely Balaguer (Lleida) and Elda (Alicante). The “Do-It-Yourself” principle that defines Kolau’s business philosophy greatly influences as well the YouthCanDoIt2020 initiative. Kolau’s goal is for these young unemployed not to rely any longer on whether or not there are job vacancies in their cities/villages since they can now work for any company anywhere in an industry with zero unemployment rate. We will update through Kolau’s social media channels the latest about this year’s #YouthCanDoIt edition.